SparkFun @ DMNS Science Lounge: It's Electric! Generate some energy and conduct experiments as you expand your knowledge of Nikola Tesla’s Colorado connection. You’ll be shocked by what you can learn about electricity in one night. 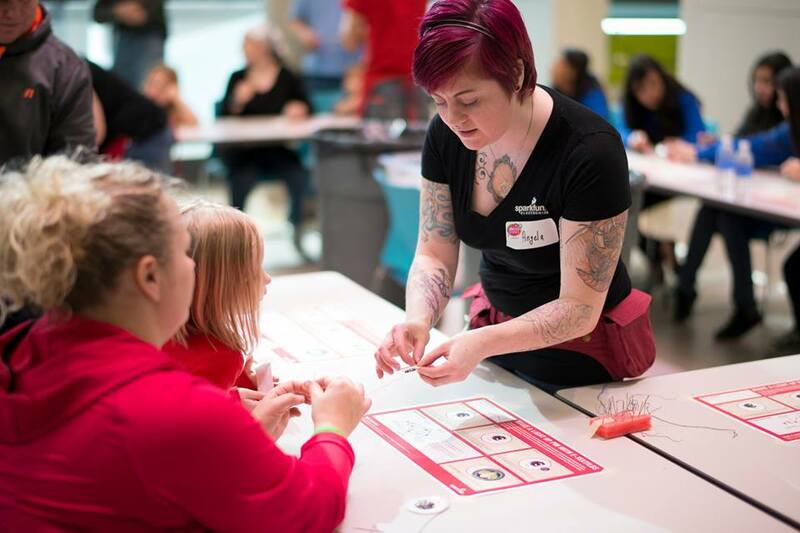 Create your own wearable circuit with SparkFun! Light Up Your Love with Paper Circuitry!